Allows your company to implement disaster recovery solutions for PostgreSQL databases with high requirements of business continuity. 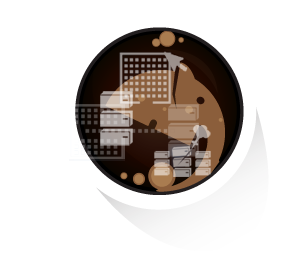 Taking an online hot backup of PostgreSQL is now as easy as ordering a good espresso coffee. Only one in two companies has a database disaster recovery plan in place. Among them, 50% have implemented it only after experiencing a severe data loss or down-time. Do not wait until it is too late. Act pre-emptively. Discover how Barman and 2ndQuadrant can help you secure your business critical PostgreSQL databases.